Sony Ericsson has brought their latest high end slider design mobile phone to the table, the Sony Ericsson G705. A slick looking slider that packs a mighty punch with GPS receiver and aGPS support. 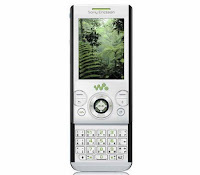 The web orientated Sony Ericsson G-705 also packs WiFi and GKNA certification and a 2.4 inch QVGA display. The G-705 id quad-band GSM and either 2100MHz HSDPA or UNTS 850/1900/2100. What more do you need? Well how about HSDPA and HSUPA, and built in accelerometer, 3 megapixel camera with LED Flash, and ability to upload video direct to YouTube.